Potted succulent: Enjoy a potted succulent... The 'hens and chicks' variety! Succulents will be planted in a small mason jar filled with layered soil, topped with spanish moss, and tied with pastel ribbons. These plants will live forever, grow quickly, and can be planted outside to propagate. $10 each. 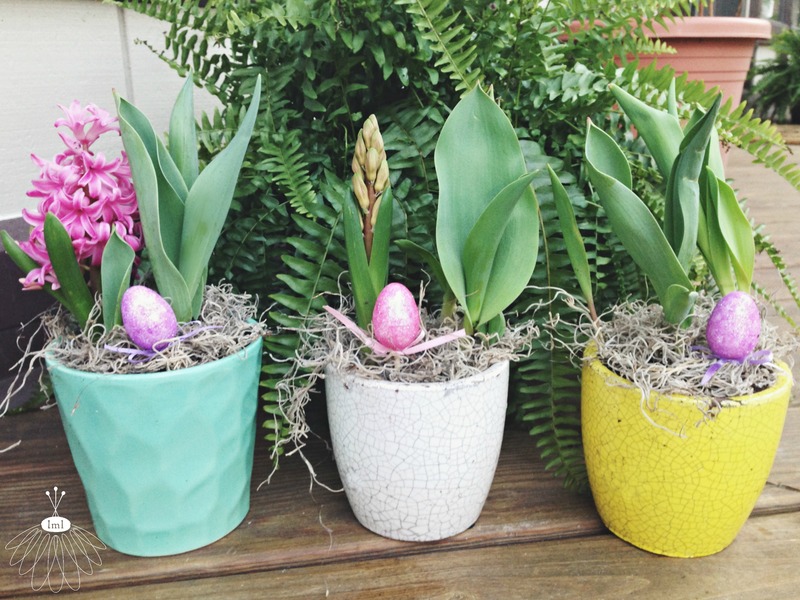 Potted bulbs: A small pot filled with 5-6 blooming bulbs. A variety of daffodils, hyacinth, ranunculus, or tulips in various colors. Topped with spanish moss. Easter egg accent. The bulbs can be planted outdoors and will bloom in your garden for years to come. $12 each. 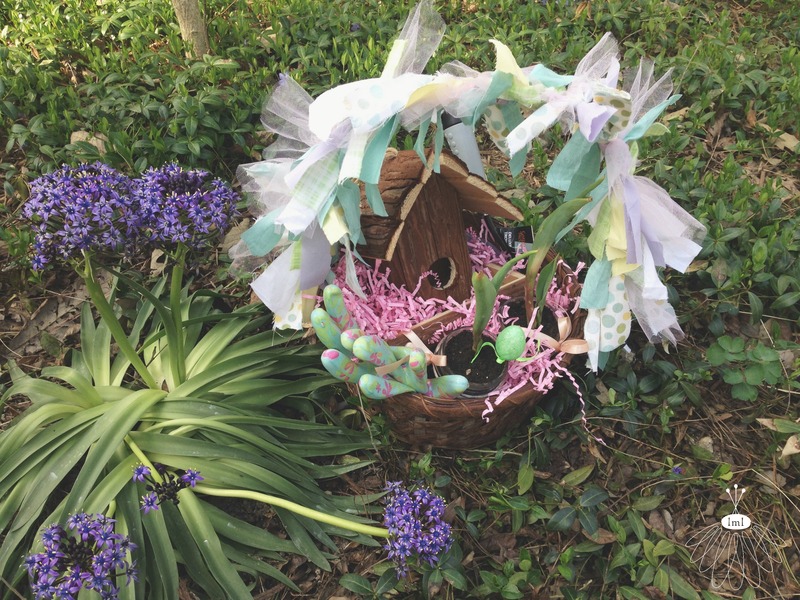 Flower basket: A super-cute medium-sized vintage basket decorated in pastel ribbons, fabric & filled with Easter grass made of recycled neutral-colored paper. Perfect for the gardener in your family or circle of friends! The basket will contain a grouping of blooming bulbs (just ready to be planted), a pair of pastel garden gloves, a hand-sized garden shovel, a small wrapped bouquet of spring flowers OR a rustic tree bark birdhouse. $35 each. Small arrangement: A small arrangement that would make the perfect hostess gift during Easter dinner. Made of seasonal flowers placed in a small vessel. $25 each. Medium arrangement: Medium-sized vessel filled with fresh, seasonal flowers. Would make a great centerpiece on your holiday table. $50 each. Large arrangement: A large vessel of flowers that will show your gratitude this holiday. Great for an entry-way table, a gift to your church, or to enjoy for yourself! $65 each.